Use it as a wall divider. 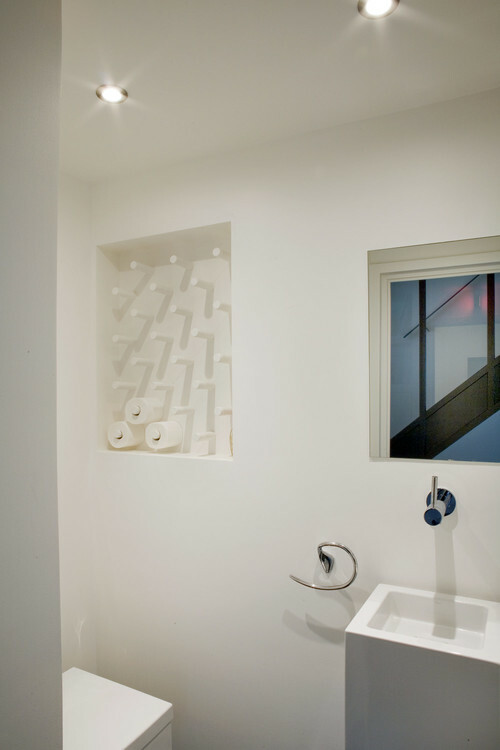 Although this is definitely a personal taste, toilet paper can be used to create a privacy wall and a sculptural art piece, while allowing for storage at the same time. However, with this idea, only the horizontal row is usable. The remainder of the TP is intended as just part of the feature. Make toilet paper storage into wall art. 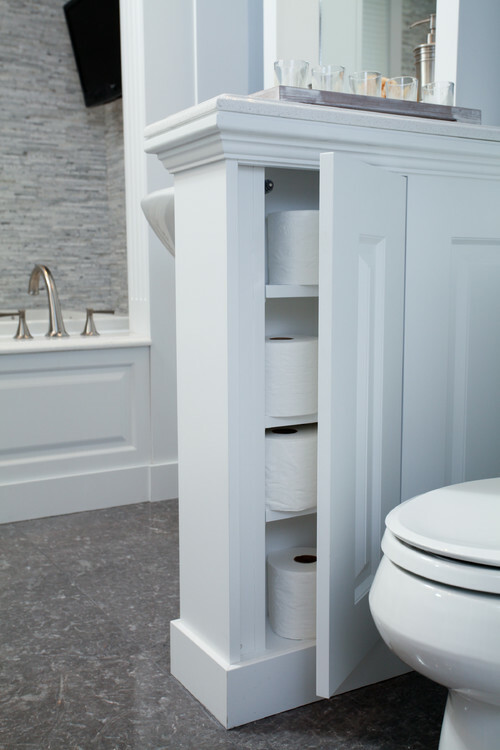 With this recessed peg board, toilet paper can be stored within easy reach of the toilet. So, you are never left in the lurch if the hanger is empty. 😉 But what I like about this idea the most is that it creates storage out of an unused area. (If you like the idea of using dowel rods for decorating, be sure to check out more ways to use dowel rods). 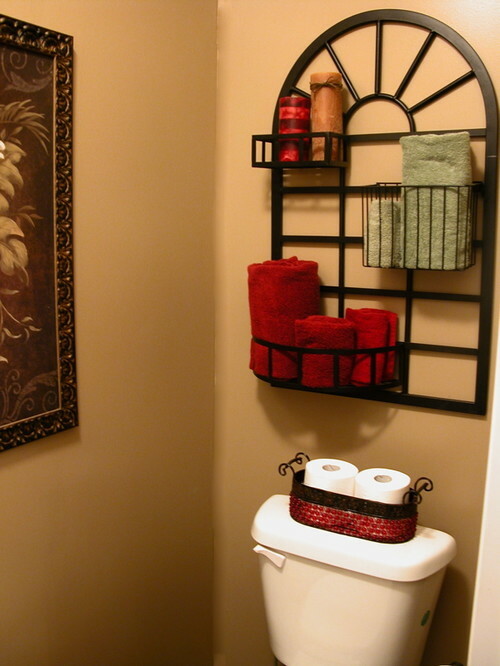 If you already have a half privacy wall, why not utilize it for toilet paper storage. This also utilizes space that would otherwise be overlooked. When all else fails, a good basket is always a good idea. 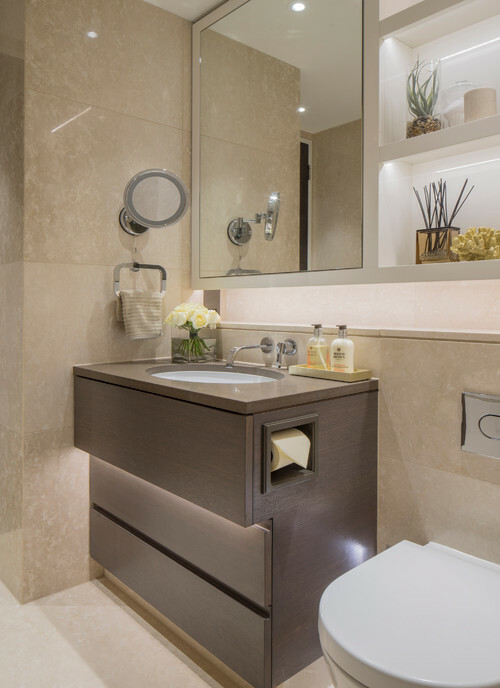 Just about any container that fits with the design of the bathroom can be used for storage. 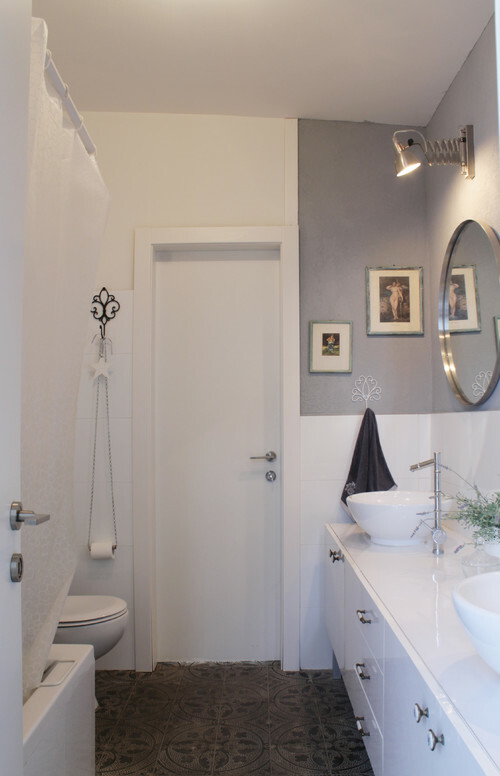 A container placed on the back of the toilet is also great for rooms that do not get much use. Plus, it adds a little bit of a finishing touch to the room. 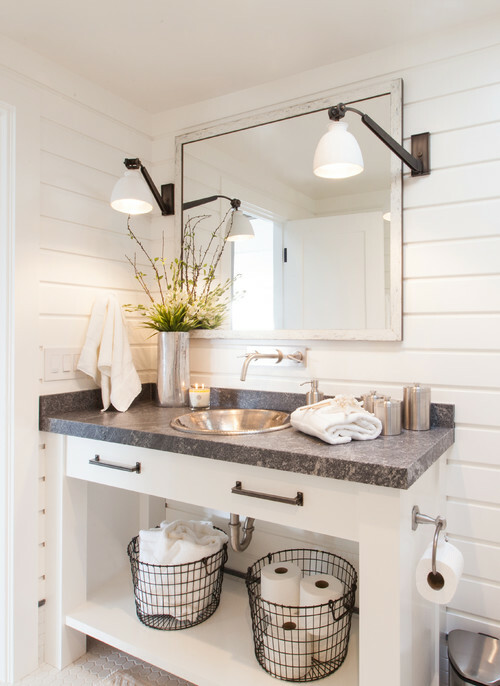 (Tip – coordinate the container to match the towels or fixtures. This will give more of a professional look). 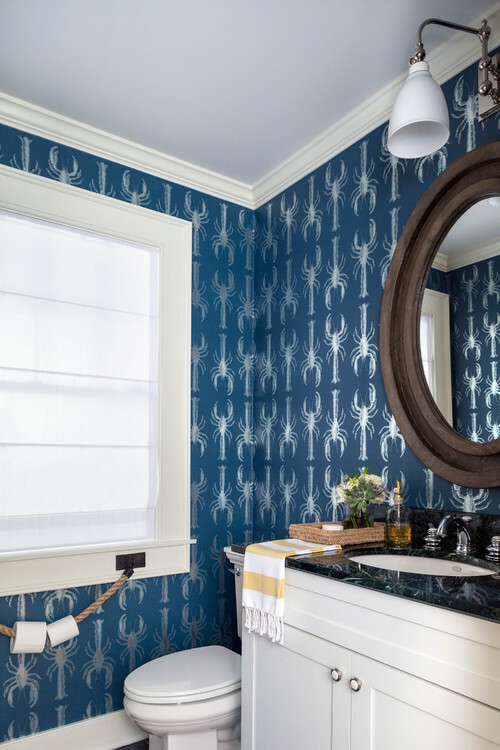 For hanging the toilet paper on a holder, sometimes wall space is limited. Sometimes, drilling all those holes through your beautiful tile is unappealing. 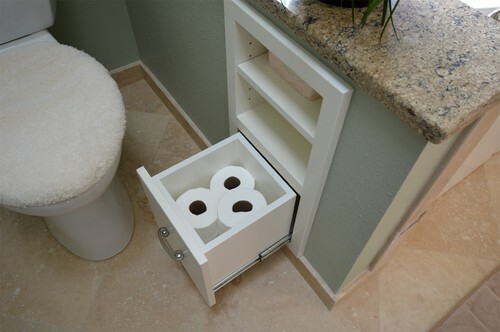 This is when combining fixtures, such as magazine holders and TP together into one item can come in handy. For beach or sailboat themes, hemp rope can make a great TP holder. This is adorable for a kids bathroom, and several rolls can be hung on a single rope. So, there are less worries of anyone running out. Looking for a rustic or industrial theme? Why not make a holder out of plumbing pipe. The added shelf provides a nice place to set your smart phone. If using a standard wall mounted holder, why not turn it vertically for a different look. Mounting the holder in this fashion will lesson the probability of the hanger becoming loose from excessive downward force. 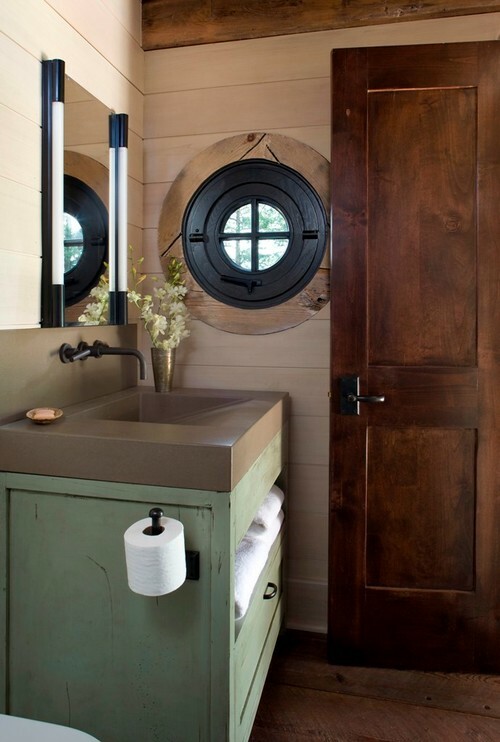 A recessed holder helps to maintain the clean lines of a Modern or Contemporary style. Most of these can be mounted within a vanity cabinet. 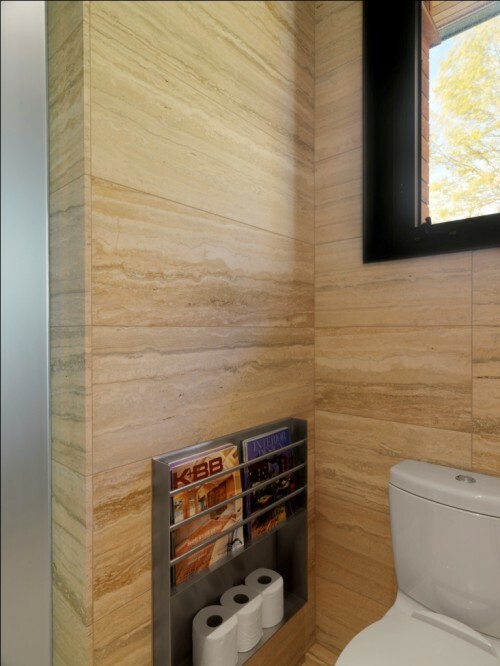 This is a plus if walls are tiled. 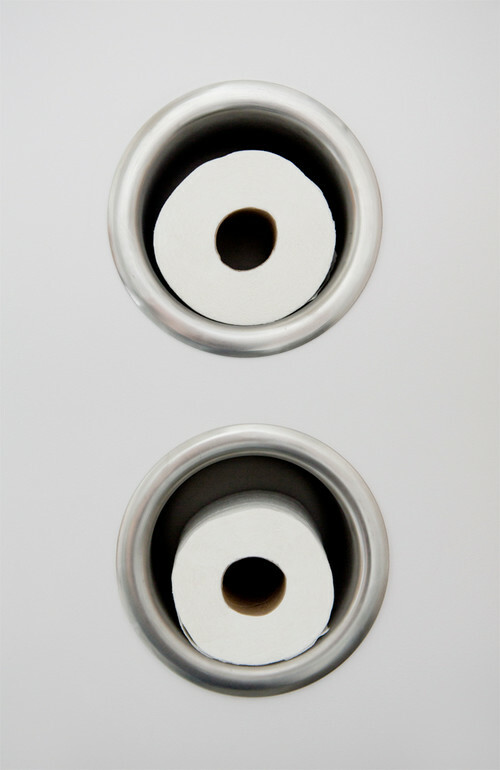 Recessed TP holders even come in round designs. These can be used to create a wall feature that looks very nice in many Contemporary bathrooms. 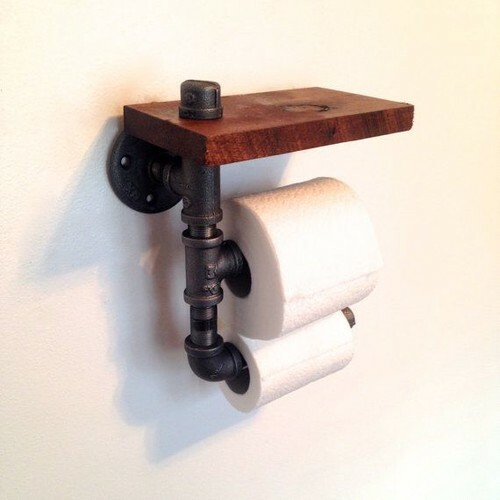 So, what unique ways have you used to store or hang your TP? If you have something different, share it with us. If you like one of these ideas, share it, tweet it or pin it!